I hate the jogless jog! I can never make it look right, so I just let the jog be itself. I might have better success with the faux-seam method, though. 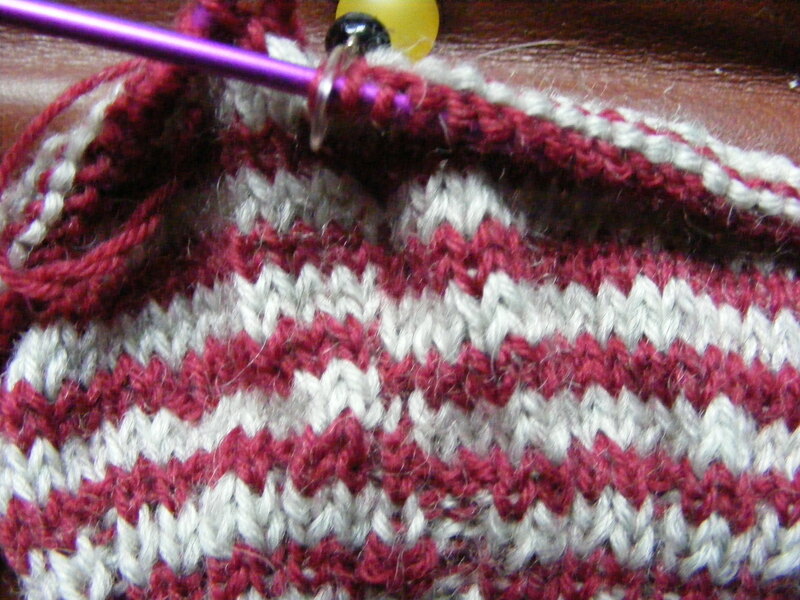 My favorite stripe method is actually the spiral stripe, where both colors are worked at the same time in alternate rounds for a truly jogless stripe. I wonder how old that is? Fascinating (though I couldn’t get the image of burglars in stripy tops carrying sacks marked ‘swag’ out of my mind at first)… Stripy stockings – oh yes; and the purl trick – hmm, must give that a go.